moved from California to live in Las Vegas. only Las Vegas, but around the country. Ms.
show live to 17 countries weekly. 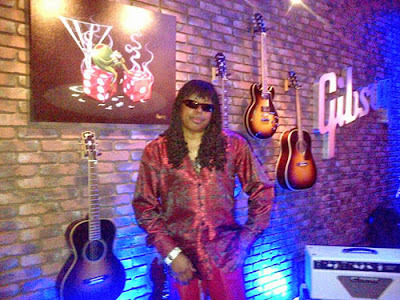 You and I gained local attention after being invited to perform in the Gibson Showroom on the set of Fox 5 KVVU Las Vegas. The segment was shown on the morning news' Surprise Squad and More Access. You and I most recent performance was January 19th at the Edmond Town Center in North Las Vegas. The event was Dream Fest, in honor of Martin Luther King Jr. More than 7,000 in attendance got the chance to witness the band delivering hit after hit from the king of punk funk, Rick James and the Ivory Queen of Soul Teena Marie.